This weekend's post should really be called Yard Sale Finds, because that's were most of these items come from. I generally don't have much luck finding clothes at yard sales. Compared to thrift stores, there is less choice, the size is specific to the person selling it, the quality tends to be low, etc. I did have some luck today though at two yard sales. One was a friend's yard sale and the other was a restaurant/hooka bar going-out-of-business/warehouse sale. Don't ask. Today's post is actually a two-parter. 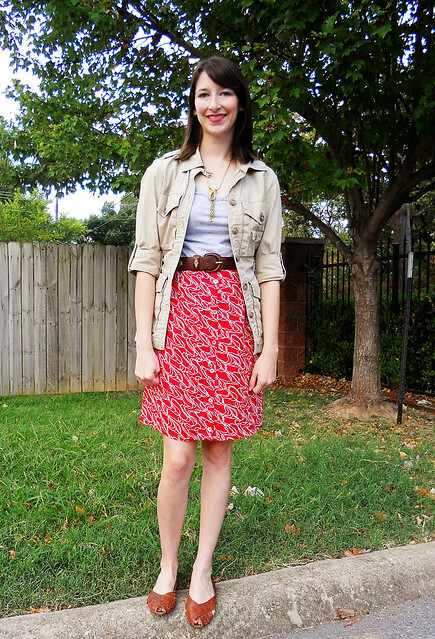 The second part is a restyle of the red skirt. I bought this earlier in the week with the intentions of adding to my "team spirit" wardrobe, i.e. more red. 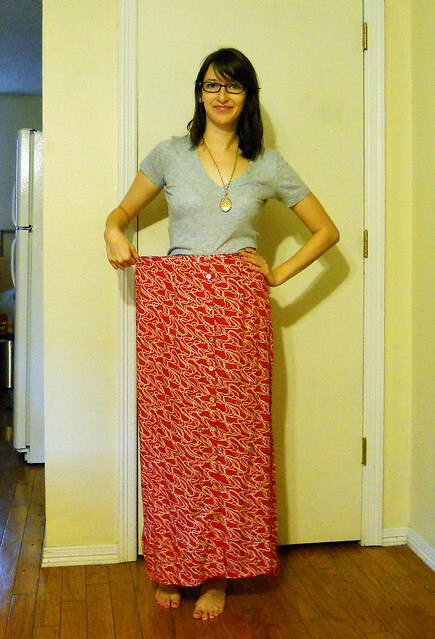 It was a size 10 which is several sizes larger than I normally wear as demonstrated by the photo above. I thought that I might do some elaborate restyle involving moving all the buttons over, but the end decided just to do a few tucks in the back. It takes me back to sixth grade when all my jeans had to be taken in to get them long enough and small enough around. The next step in my restyle was to cut off several inches and finish with a blind hem. 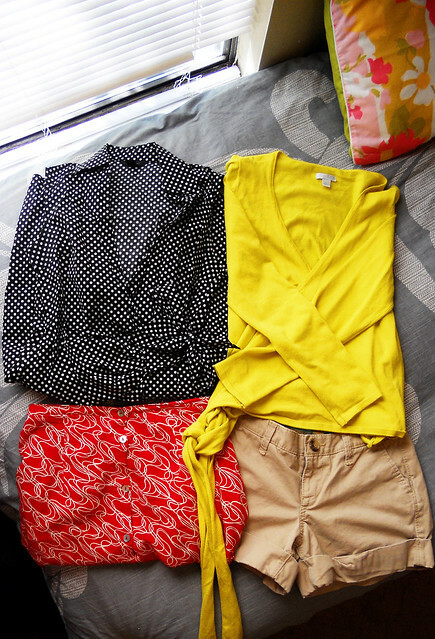 From frumpy to fun all for $4.00 dollars.